If you're a fan of farming games, you'll be glad to hear that Green Farm by Gameloft is now available in the Android Market. That's right, you can raise crops, trees, and livestock, earn coins to buy seeds, animals, and buildings and even learn to make cheese or become a carpenter, all without getting your hands dirty. (Note to Green Farm online players: This farm doesn’t connect to your online farm, but you can build a new one on your mobile device.) You can grab Green Farm free in the Android Market, download links are after the break. 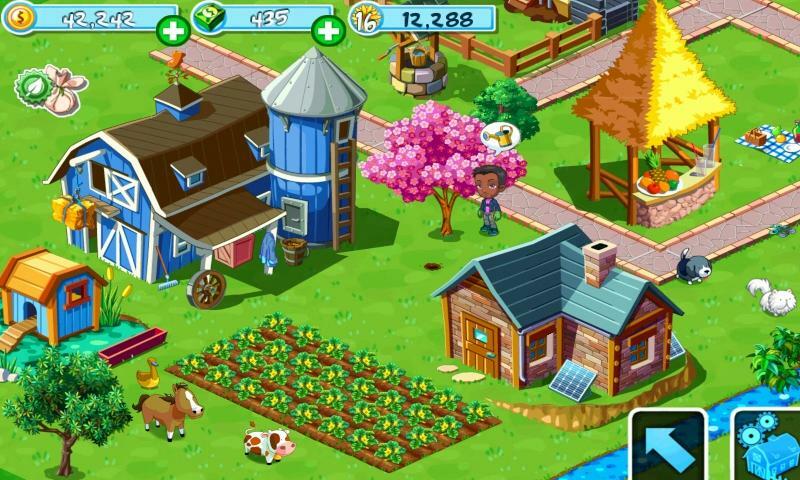 Gameloft, a leading global publisher of digital and social games launched Green Farm for Android on the Android Market. The addictive farming game is available on the Android Market for free. • ADDICTIVE: Get hooked on farm life as you raise crops, trees & livestock. • UNIQUE: Earn coins to buy a variety of seeds, animals and buildings. • AWESOME: Make juice & cheese, or develop specialties like carpentry. • NEW: The fun never ends thanks to frequent updates! • And MORE: Customize your avatar, take on missions & utilize tractors, robots and more.